In a market that ranges from traditional, inexpensive asphalt shingles to rare types of slate, clay roof tiles are a solid and durable option. Roof tiles are often made with clay, but can also be made with concrete or terra cotta, and they continue to be a popular choice for homeowners throughout the world. Roof tiles come in a variety of styles, each of which have different advantages and cost ranges. The three main types of molds used to style clay roof tiles are “Spanish," “Double Roman," and “Flat Shake." They can all be purchased for as little as $200 per “square” (100 square feet), but the high ends of their ranges vary. Spanish roof tiles are large and C-shaped. Like all clay roof tiles, they are hung in rows with the edges overlapping for waterproofing other sealing purposes. Spanish roof tiles can be described as looking wavy due to their gradual curves. Because they are large and have large gaps in between rows, they are a great choice for those who live in places that weather heavy rains. Spanish tiles generally range from $200 to $400 per square. Double Roman tiles have alternating flat areas and sharp bumps, or “ribs." They are less optimum for areas with heavy rains, but great for areas with consistent light rains. Double Roman tiles are popular and provide a home with a classic, Mediterranean style. These roof tiles generally cost between $225 and $475 per square. Flat Shake roof tiles are made to appear similar to the aesthetically pleasing but much less durable “Wood Shake” roofing material. They do not guide water down flat areas in between rows like Spanish and Double Roman tiles do, but they are still reliably waterproof. Their flatness also makes them easier to make and install. This helps to keep their cost stable. 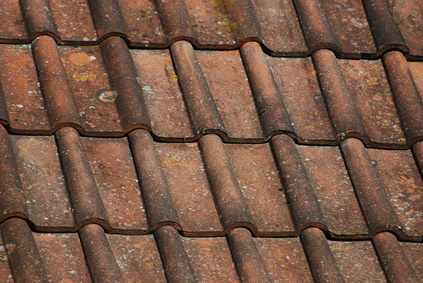 Flat Shake roof tiles generally cost between $200 and $250 per square. French tiles look like a reversed version of the Double Roman, as these roof tiles have indents where Roman tiles are rounded. These roof tiles do a great job of shedding water from your roof. Similar in style, the Riviera tile is a flatter version of the Double Roman. These tiles cost about $300-$500 per square. Scandia tiles are essentially inverted Spanish tiles. These roof tiles have generous water courses and cost about the same as a Spanish tile. Barrel tiles have a tapered shape and are often used on roofs with a curved structure. Barrel tiles usually cost $300-600 per square. The roof tiles you choose depend on your budget, the materials available in your area, the cost of specialized laborers in your area, and other factors. Nonetheless, any type of roof tile promises durability and beauty that will serve you well for many decades. For help installing your ideal tile roof, check out our database of professional contractors today.